You cannot make a peace treaty with the enemy, says the LORD. There is no such thing as compromise. The enemy will not spare you, will not tell you the truth, and only wants you to believe that you will have peace if you do. There is NO fellowship between darkness and light, and you cannot walk in agreement. No hoof left behind means that you will not give the enemy any territory, any foot-hold, anything! You will conquer and overcome and overwhelm the enemy if you refuse to back down and quit, says the LORD. 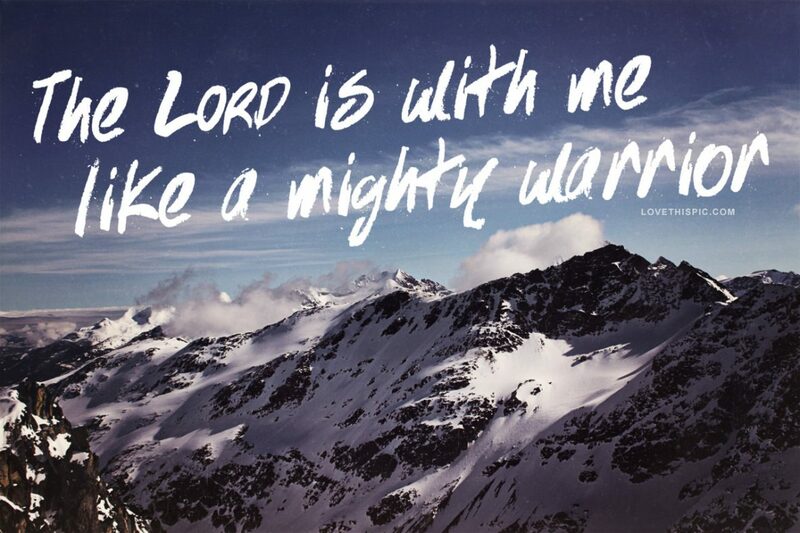 I will give you peace through warfare, says the LORD. It is a fight of faith, and you must go from faith to faith, so that you also go from victory to victory. For My Kingdom must be expanded on earth, and I have called you to be a mighty conqueror, to push the enemy back, take NEW territory for Me, and raise up My banner of ownership, as you war a good warfare in Me, says the LORD. 26 Responses to Peace Through Warfare! The Lord has told me more than 3 times since before Thanksgiving that the Day of The Lord is near. He gave GFM – United Prayer and Revival Ministry a similar word on the day before or on the day of Thanksgiving. The Lord told me once again tonight the day of the Lord is near. I never had anything in this life but my kids, the greedy and powerful have exploited me and my children and extorted all that God gave us as far back as 1995. It will be my pleasure to see God avenge us! !